After enduring its toughest start to an F1 season since 2013, Williams has a plan in place to recover from the bottom of the constructors’ championship. Sergey Sirotkin tells Crash.net’s Lewis Larkam why he is confident the British squad has moved past its lowest point of 2018 and is ready to bounce back. Williams heads into the second half of the 2018 Formula 1 season staring down the barrel at the bleak and very real prospect of finishing rock-bottom of the constructors’ championship for the first time in the team’s history, with seemingly little hope of improving on its current position. For one of F1’s greatest ever teams which boasts a rich history in the sport – winning more constructors’ world championships than any team aside from Ferrari – it has marked a significant fall from grace having led the midfield pack at the start of the V6 hybrid era. But even Mercedes power has failed to halt Williams decline and its worst start to an F1 season since 2013, with the team going from back-to-back fifth place finishes in 2016 and 2017 to becoming the team most likely to suffer a two-car drop-out in the first segment of qualifying. Williams’ struggles can be charted back to an aggressive change in car concept over the winter that the team hoped would help establish its position towards the top of F1’s middle tier. Instead, the change in philosophy backfired, leaving the Grove-based squad chasing downforce and stability on its FW41 with no apparent fix in sight, leading to a raft of changes to its technical department. 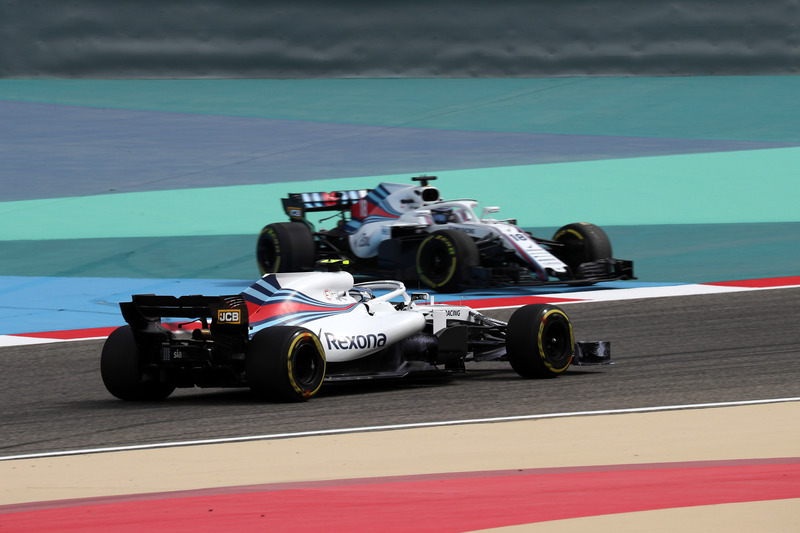 Its struggles have resulted in a double elimination from Q1 at half of the 12 rounds so far this year, including making up the back row of the grid on two occasions, with only a solitary points finish occurring in Baku as Lance Stroll profited from a crazy race to take eighth. Williams fields the most inexperienced driver line-up on the 2018 grid, with Stroll acting as team leader in just his second season alongside rookie Sergey Sirotkin, who has found his start to life in F1 much tougher than he would have anticipated. Explaining Williams’ torrid campaign so far, the young Russian – who remains the only driver yet to score a point this year - admitted he is relying on something “extraordinary” in order to get off the mark. “It’s been a tough year for us, we had to back up the expectations we had in the winter when we found where we are in reality on the track in Australia and even worse in Bahrain,” Sirotkin told Crash.net. “Since then it was quite tough to take it but for sure all of us changed a bit of approach and expectations as well. “From there onwards I know in terms of the results we cannot be happy, but we did a few very good steps. It’s quite difficult to do the bright performance out there obviously with how we are and what we have but honestly there’s been many races I can be quite proud of. Again when you are in a position where it’s quite impossible to do something extraordinary. “It requires us drivers to always do a very good job. There’s been many occasions when I knew that I did a very good job but no-one apart from the team could really see. I know the guys in the engineering know it, but it’s not what you see from the outside and it always pushes you to drive to the limit because somehow if you are forced to do it it’s so visible that you underperform. For Sirotkin, the extraordinary moments have not quite fallen as he would have hoped, with a loose sandwich bag attributed for his Australian Grand Prix retirement, before a bizarre seat issue compounded his race in Spain, adding to his frustrating season which has so far proved fruitless despite his best efforts. But the former GP2 and Formula 2 ace has witnessed promising improvements in recent races, most notably on Saturday at the German Grand Prix, where he secured his joint-best qualifying result of the season with a brilliant performance to seal 12th place on the grid in his third Q2 appearance, just one tenth of a second behind McLaren’s Fernando Alonso. 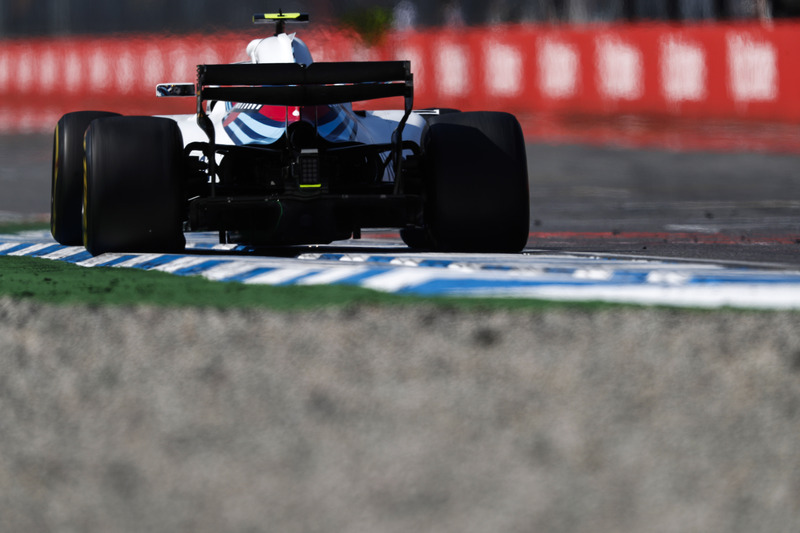 While Sirotkin fell back in the race and ultimately retired in the closing stages due to an oil leak, the Russian remained convinced the team’s qualifying display at the Hockenheim had acted as a “very important moment” for Williams after its tough start. 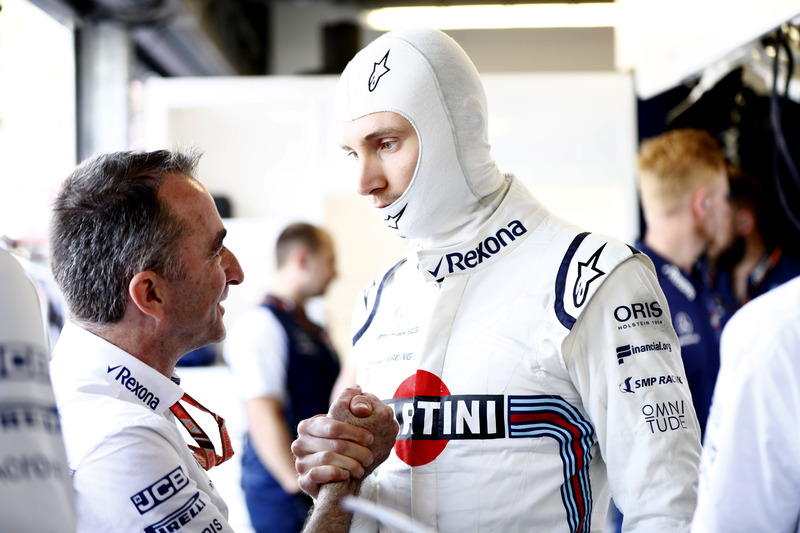 Sirotkin’s comments referred to the successful introduction of new front wing in Germany, which he felt had boosted the aerodynamic stability of its 2018 challenger and proved Williams had taken a long-awaited step in the right direction. Having suffered from a plethora of correlation problems back at its Grove-based wind tunnel and CFD programme throughout the opening stint of the season, Sirotkin hailed Williams latest development as a key turning point which affirmed his belief the team has moved past its lowest part of the campaign. “The good point is that it’s not only me saying that it feels better, also after the investigation it was fully confirmed by the numbers,” he explained. “It’s a key moment because we’ve been in such a tough situation, we had some issues with research and correlation and so on, so the ideas we brought on which we hoped to solve the story, if they hadn’t worked as we hoped it means that we are kind of have even deeper fundamental problems to understand and correlate. Technical chief Paddy Lowe has been tasked with trying to return Williams to competitiveness, following his switch from a title-winning spell at Mercedes on the eve of the 2017 season. Lowe, who has described his bid to turnaround Williams’ fortunes as the biggest challenge of his F1 career, backed Sirotkin’s theory relating to its latest update. “We did a lot of good work and we’re gradually making more progress with our understanding and direction we need to have,” Lowe explained during the Hungarian Grand Prix weekend. “I think the front wing has been a very good step for the car in general and I think we can continue to develop even better around it. Deputy team principal Claire Williams has been defiant in her admirable stance that Williams is not prepared to simply “write off” 2018, though it does leave the team with a tricky dilemma of when to switch focus onto 2019, considering the new aerodynamic regulation changes coming into effect next season. With Sirotkin having already ruled out overhauling Sauber in the constructors’ standings as a realistic aim, a shift onto next season would make sense. Williams became one of the first teams to debut experimental versions of the 2019-spec front wing designs on track during the second and final in-season test of 2018 at the Hungaroring prior to the summer break. Lowe described the rule changes as the biggest F1 has gone through since 2009 and has targeted next season as an opportunity for Williams to make up some ground on its competitors as it looks to haul itself back up F1’s pecking order. Williams is set to take a financial hit not only from its anticipated low finish in the championship, but also from the loss of its Martini sponsorship, with the Italian drinks brand’s contract expiring at the end of the current season following five years as the team’s title partner. It also remains to be seen how Lawrence Stroll’s influence at Williams will be affected after a consortium led by the Canadian businessman rescued Force India from administration. The Grove outfit could be boosted by an enhanced collaboration with engine suppliers Mercedes from next season, with a mooted gearbox deal possibly on the cards for 2019. Williams has taken pride in its independent status and producing its own parts in the past, but the success of Haas and Sauber’s recent technical tie-ups with Ferrari has paved the way for a new approach of tackling the tough financial environment that is F1. Despite facing bleak times, Williams is remaining optimistic about its future. Sirotkin believes even a spell at the very bottom of the competitive order will not distort the team’s reputation, as long as progress is made next year. “It’s quite weird to realise that we have the slowest car on the grid because Williams is such a name and has such a big history,” he admitted. “For me it doesn’t really matter how or where we based on performance wise, it’s always been a fundamental part of F1 and I never felt led anyone to think like this about us. 2018 may well end up as Williams’ darkest hour in F1, but the signs are there for the team to bounce back. The lingering question that remains appears to be how long a recovery will take, rather than if it is possible.